Michael Tempel, MD, has been elected to the American Health Council’s Board of Physicians. Dr. Tempel utilizes his expertise as a General Surgeon for the Lima Memorial Health System, located in Lima, Ohio. His specialty is focused on Colon and Rectal Cancer and Surgery and he has spent 17 years in the medical field through education and training acclimating himself in various other aspects of surgical medicine. A graduate of Wabash College and Indiana University School of Medicine, Dr. Tempel received his Medical Degree in 2000. He completed a residency in general surgery followed by a fellowship in colon and rectal surgery. He has subsequently become a Fellow with the American College of Surgeons and with the American Society of Colon and Rectal Surgeons. 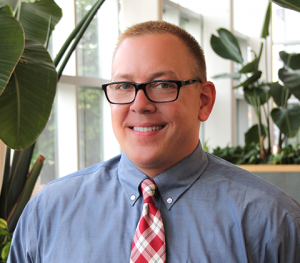 He accepted a position at the Lima Health Memorial Care System, a network of healthcare providers working together at facilities throughout a 10-county region, offering the standards of care and advanced medical technology from a large health center. Family has been a large factor in Dr. Tempel’s decision to pursue medicine. His mother had a career in nursing and his uncle, a physician, would serve as his mentor. Dr. Tempel uses their guidance in his work each day with every patient he sees. As he was attending school, he found that his chosen career path was a great match for his personality, as he is very action orientated. He soon became accustomed to the sense of immediate gratification he felt with every procedure he completed. Being a very determined individual, Dr. Tempel never quits on a case until it is resolved. He focuses his “don’t quit” attitude toward every patient, ensuring them peace of mind throughout their recovery process. He credits this part of his personality for his continued success. If it were not for his discipline and resilience, he would not have accomplished what he has. Every day, Dr. Tempel works with his patients who require not only colon and rectal surgery, but also general surgery. He remains an active member of the American College of Surgeons and the American Society Colon and Rectal Surgeons. His status within these organizations ensures that Dr. Tempel is kept up to date on every new or developing surgical procedure. He is Vice Chairman in the Department of Surgery and a member of the Pharmacy and Therapeutics Committee. His long-term goal is to develop a comprehensive program for the treatment of rectal cancer at Lima Memorial. He supports the ASPCA and the North Shore Animal League. When not in the hospital, he stays busy raising his two Siberian huskies. Lima Memorial Health System is a community of healthcare providers who serve the people of their community, offering the standards of care and the advanced medical technology you’d expect from a large health center. Expertise in Colon and Rectal Cancer, Colon and Rectal Surgery. 17 years in within the Healthcare Industry.